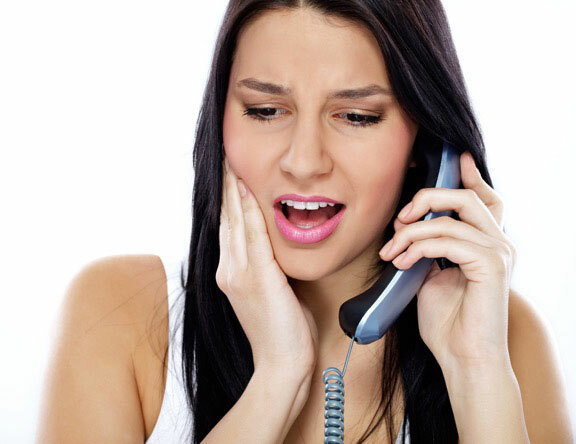 Why Are My Teeth Sore After Dental Cleaning? As with most dentists in St. Albert, at Dr. Riemer’s clinic we take great strides to ensure your visit is as comfortable as possible but, sometimes, a little soreness after a cleaning is unavoidable. When left for too long tartar hardens (or calcifies) in-between teeth and can only be removed with special tools used by your dentist. Although tartar isn’t good for your oral health, it acts as a kind of seal that shields your teeth’s sensitive roots from temperature variations in your mouth and other irritants. Removing this deeply embedded tartar (which must be done to prevent gum disease) exposes the root making your teeth more sensitive until they adapt to the change, thus causing your soreness. The sensitivity experienced after a deep dental cleaning is not directly caused by the scaling tools, but rather the removal of the tartar itself. It’s like ripping off a Band-Aid and exposing damaged skin to air. After a few days, tooth sensitivity should go away. If you haven’t been to your dentist in St Albert for a while, there are some ways to make your treatment more comfortable. Even if you do go frequently, the tips below will help reduce any discomfort you may experience. Take Advil before and after. Consider taking about 600 to 800 mg one hour before the cleaning and then again six hours afterward. This reduces the inflammatory reaction of your gums. Ask the hygienist to numb your mouth before the cleaning. Just as you would get numb for a filling, applying a numbing agent to the area that’s being cleaned works well for a lot of people. Use a desensitizing toothpaste. Using a desensitizing toothpaste as your daily toothpaste can help prevent soreness after a cleaning. Brush and floss after each meal. Sounds simple, but the better your oral hygiene is at home, the less intense your cleaning will be at the dentist. Flossing gets rid of 40% of the plaque off your teeth. Brush your tongue as well to freshen your breath and remove even more bacteria from your mouth. Switch to an electric toothbrush. Electric toothbrushes are gentler and better at cleaning below the gum line, which can decrease the amount of scaling your hygienist needs to do to at your next cleaning. Is it time for your professional cleaning? If you’re looking for dentists in St Albert, look no further than Dr. Lon Riemer’s dental clinic. New patients are always welcome! We provide a broad range of dental procedures for your whole family in a comfortable, relaxing environment. To book an appointment, contact us today!